Each Sunday morning during the “Grace for You Gospel Program” (6 am – 8 am) on Wow FM 100.7, hosted by Connie Aspinall, Pastor Graham brings a relevant and vital message from God’s Word. The message in this segment, preceded & followed by pertinent songs, seeks to point out the love of Christ and to be an encouragement to a deeper walk with God. Depending on the Station programming, the broadcast usually commences approximately 7:10 – 7:15 am. In order to listen to the messages on a Tablet or Smartphone simply tap on “Listen in browser” button. If any of the above messages have touched your heart, drop Pastor Ross a line on the e-mail address below and let him know just how the message has spoken to you. Also the messages can be downloaded from the SoundCloud site. 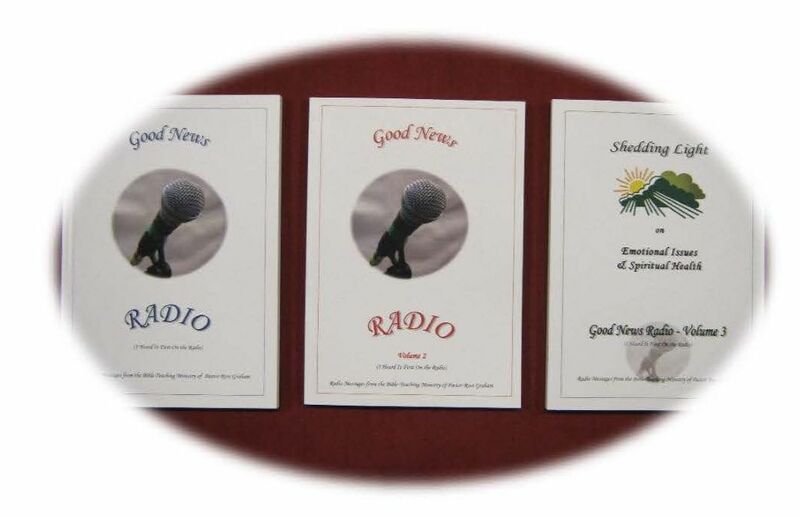 Some of the radio messages as broadcast each Sunday are now available in book form. They are free upon request whilst stocks last. Simply write and request copy from Pastor Ross Graham c/- 80 Joseph Street, Kingswood NSW 2747.